This sophisticated bath design was a true collaborative effort between the client and Monarch designer. Pairing functionality with a somewhat dramatic look that would stand the test of time was a priority for the homeowner, and our designer was happy to facilitate her choices and help execute the design in a way that would work best. Who needs a weekend away at a spa when you can enjoy the benefits of a therapeutic bath in your own home? 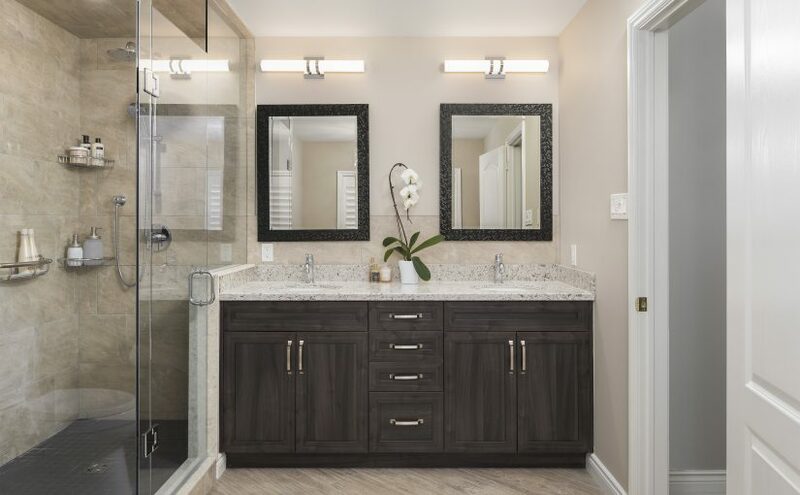 Homeowners renovating their bathrooms are choosing to remove their big corner tubs — and not only to allow room for a bigger and more luxurious shower — but to create space for a sleeker freestanding tub. As the pioneer and inventor of the air-jet bath, BainUltra knows a thing or two about how to relax in style. 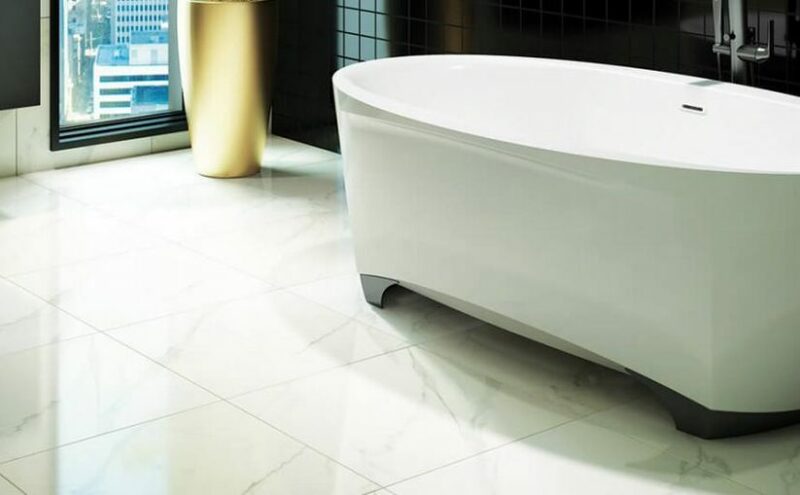 They recently introduced two free-standing tubs to their collection: Scala, a series with modern design and classic elegance; and a larger, two-person version of their Evanescence Oval. This new larger model is the newest addition to the Evanescence collection, an invitation to turn your relaxation space into a veritable sanctuary of elegance and wellness. A two-person tub that reflects the same refined design of slim walls and high headrests with a slightly curved centre to facilitate getting in and out of the bathtub. All without compromising the benefit of the hydro-thermo massage. No room for a freestanding tub? Make the most of a small space with Citti, BainUltra’s therapeutic bath designed to accommodate urban living. Citti can be installed in an alcove (between three walls) and allows for the enjoyment of multiple therapeutic experiences. 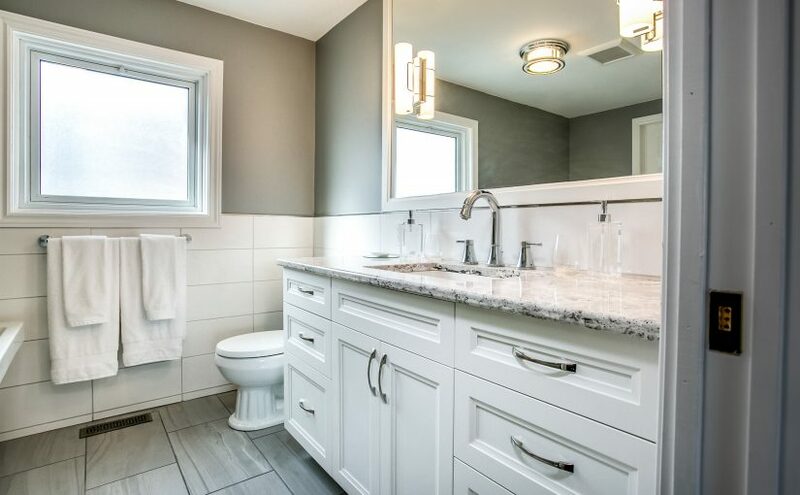 By adding square footage to their ensuite bath, these Pickering homeowners were able to make room for both luxury and style.